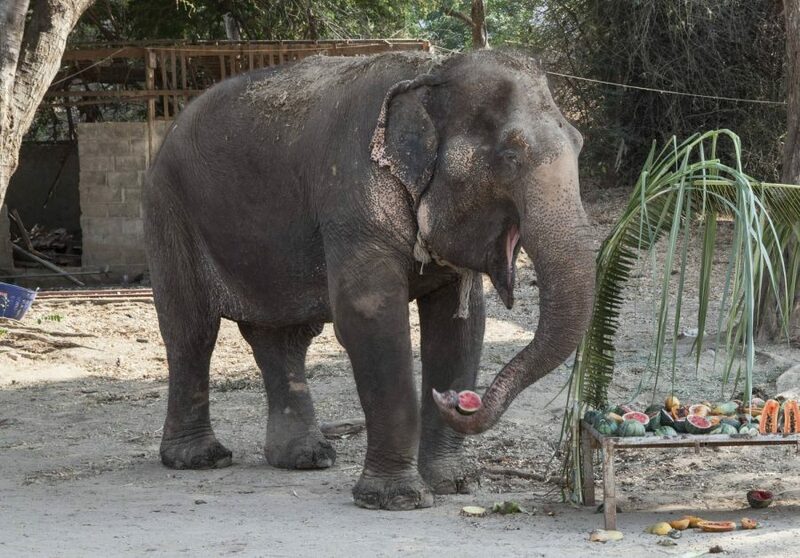 Sri Thong arrived at Elephants World in 2016. 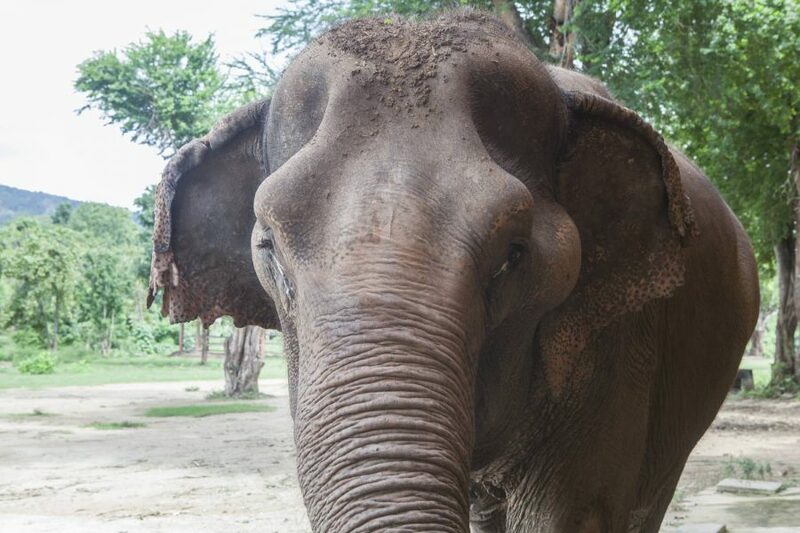 Unfortunately Sri Tong did lose her eyesight and is one of our blind elephants. She had a hard life working in a trekking camp in Phuket, where she was forced to work long hours despite her blindness. 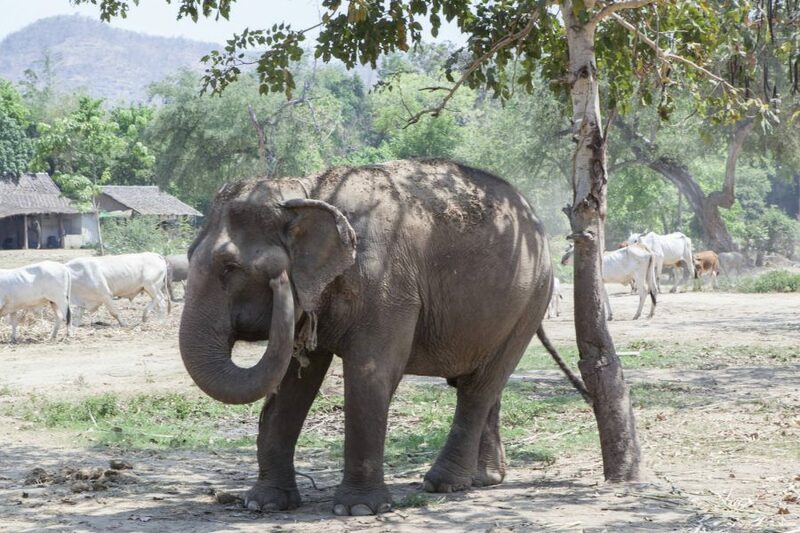 Sri Thong arrived to Elephants World full of wounds indicative of her treatment at her trekking camp; this was perhaps because she walked too slowly. She had a large hole on her back where the trekking basket sat on her every day. 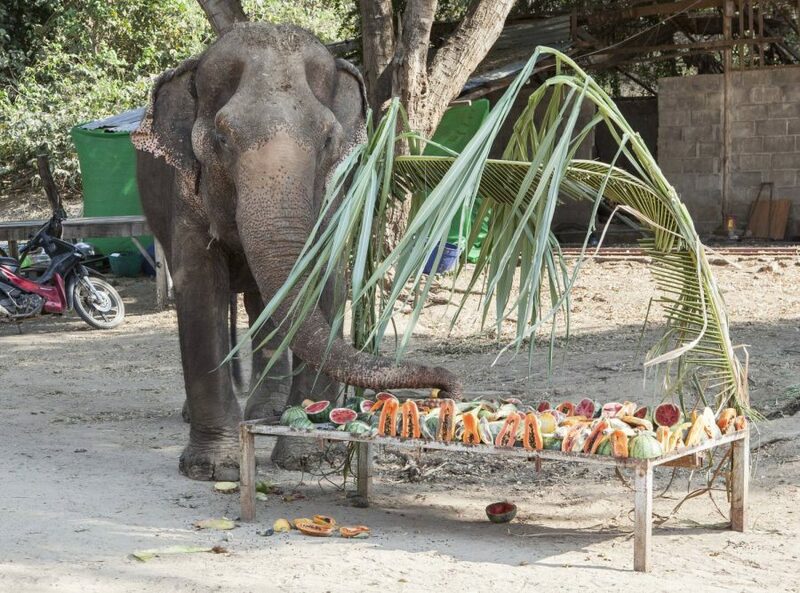 Sri Thong is very sweet but can be quite stubborn and prefers to be alone with her mahout.